Heparin is a medication widely used to prevent blood clotting; it is named after and mimics the naturally occurring anticoagulant in the body. However, research published today in Cell Reports shows a novel role of heparin as a promoter of food intake and body weight increase in animal models. These results suggest that heparin could be a potential target for drugs regulating appetite and weight control. "In addition to its role as an anticoagulant, heparin, which is normally produced by the body, has been known to affect other biological functions. 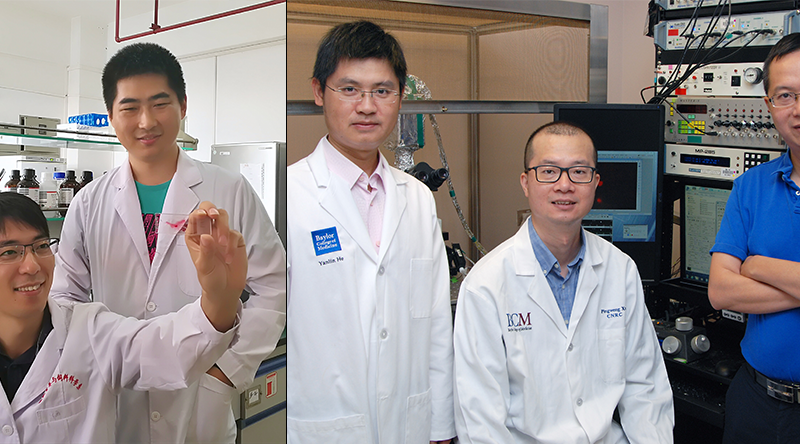 In this study, we are among the first groups to investigate heparin's potential role in regulating the body's energy balance," said co-corresponding author Dr. Yong Xu, associate professor of pediatrics, and of molecular and cellular biology at Baylor College of Medicine. "Our earlier studies showed that serum heparin levels in mice increased significantly during starvation. These encouraged us to explore a potential role of heparin in feeding control," said co-corresponding author, Dr. Gang Shu, professor in the College of Animal Science at South China Agricultural University. The research team discovered that heparin stimulates the AgRP neurons located in the hypothalamus, one of the most important appetite-modulating neurons, which results in increased production of AgRP protein, a neuropeptide that stimulates food intake. Heparin also stimulates AgRP neurons to fire electric impulses and release of neurotransmitters. The researchers think that both effects on AgRP neurons contribute to the increased food intake observed in the mice. Interestingly, "we also demonstrated that heparin activates AgRP neurons by competing with insulin for binding to the insulin receptor," said Shu. "Insulin and heparin have opposite effects on AgRP neurons," Xu said. "Insulin treatment suppresses AgRP neuron firing of electrical impulses and expression of AgRP neuropeptides. We found that heparin competes with and prevents insulin from binding to insulin receptors on AgRP neurons." Although this study was conducted in animal models, it has potential implications for patients because the medication heparin is widely used in clinical settings to prevent blood clotting. The results raise awareness about a novel effect of heparin that can potentially affect how the body regulates appetite. In addition, this study suggests that heparin can potentially be a target for treating eating disorders, including overeating, a leading cause of obesity in most of the world.